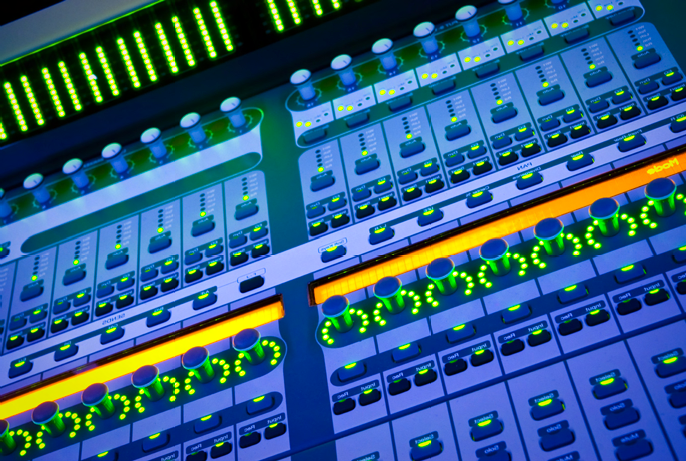 LED arrays and light bars each offer unique design opportunities. All of Lumex's QuasarBrite™ LED Arrays and Light Bars are color matched with all other LEDs within each array or light bar unit in order to ensure that intensity and color are always uniform. 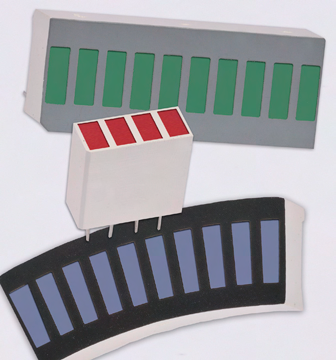 QuasarBrite™ LED Arrays are ideal for applications that need to show a level indication such as volume, power or altitude, etc. 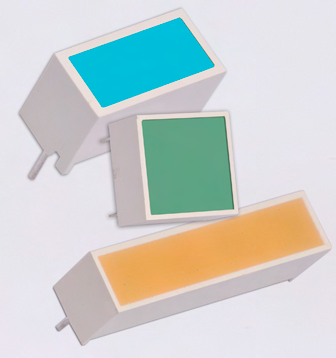 Lumex offers two types of LED arrays: molded and assembled. The assembled versions are packaged as molded plastic housing with one of our LEDs inserted into it. Lumex's molded LED arrays are similar to light bars except that there is generally only one LED per light segment and the segments are smaller. Our QuasarBrite LED Light Bars are designed in a chip-on-board style die placement into a reflector with a diffused epoxy finish. 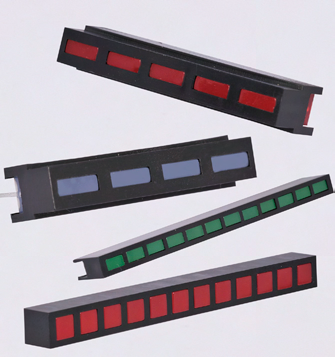 Our QuasarBrite™ LED Light Bars are ideal as a backlight for icons or elevator icons. Our standard light bar product offering includes single, dual and quad packages. All QuasarBrite LED Arrays and Light Bars can be customized with specific sizes, colors and pins. There are size limitations on how small we can make the segments. All of our Arrays and Light Bars are offered in temperature ranges from -40˚C ~ +85˚C. Lumex can also customize designs to suit either a straight or curved package. We can also recommend the appropriate QuasarBrite LED to be utilized for ensuring daylight visibility, etc. The categories down below provide an overview of the types of LED Arrays and Light Bar products Lumex provides. In addition to our standard product offering, Lumex can also customize any LED to suit your specific design needs.